The following account was taken from The Fundamentals church newsletter (Volume 1, Number 1), dated October 1981. It was originally written by Mr. Joe Ortiz, then a church elder, and is currently maintained by Mr. Arturo Salazar. 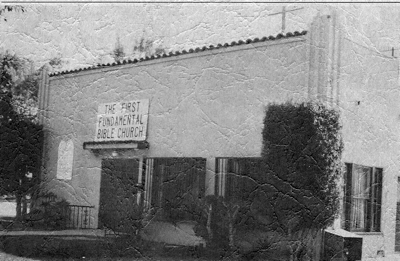 The First Fundamental Bible Church (FFBC) was founded on June 1960 by a group of dedicated men and women numbering about 10-15 persons who had a strong desire to serve our Lord. In the beginning they met at the home of Mr. Tino Ballesteros in Alhambra. 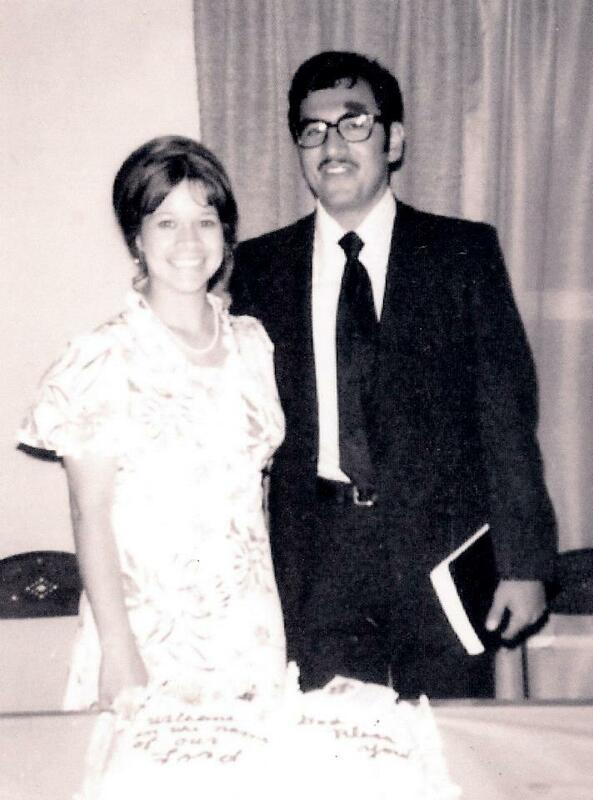 Mr. Ballesteros finished his studies at Bob Jones University and became the first pastor of our church. FFBC formally incorporated on October 30, 1961. As the group of believers grew in number, a building was needed. The first building was the Masonic Temple in Montebello, which used for about two years [1961-62]. Mr. Ballesteros then resigned as pastor to further his education. At this time, Pastor Juan Perez Sr., who was bilingual, was called as part-time pastor. The congregation expressed to Pastor Perez their desire to reach the English/Spanish-speaking people in the community with the gospel. The next move was to a building used by a Seventh Day Adventist congregation. The FFBC congregation stayed at this location for the next five years [1962-67]. After that, a church building near Whittier and Indiana in East Los Angeles was used for a few months. There was also a period of time spent worshiping at the Women's Club on Northside Avenue in Montebello. has come to be affectionately known as "The Holy Land" [shown on right]. The cost of this building was approximately $55,000. The congregation had a difficult time getting a bank to make a loan for the property, but, as the Word of God says in Romans 8:28: "And we know that God causes all things to work together for good to those who love God, to those who are called according to His purpose." The congregation found a bank president who was a believer who then made a $45,000 loan to the church towards purchase of the property. A businessman in the community also gave a gift in the amount of $10,000 as a down payment. Part of the property was leased to the Los Angeles County Library and at one time the main building was used as a courthouse. The congregation put their resources together and were able to purchase pews. FFBC remained together under the leadership of Pastor Juan Perez Sr. for the next five years [1967-71] until he resigned. For about one year thereafter, the congregation was without a pastor. During this time the congregation began to decrease in membership. The elders and deacons took turns in preaching the Word of God. Shortly after this, the Lord led Alex Montoya to FFBC . Before coming to our church, Alex Montoya held the position of Evangelist at the Community Brethren Church on Keenan Avenue in East Los Angeles. He applied for the position of pastor and was accepted. The congregation numbered about 15 persons at this time. Vista Baptist Church at its Findlay Avenue location in Monterey Park [shown on left]. Now with new-found room, God blessed FFBC with another period of tremendous growth. 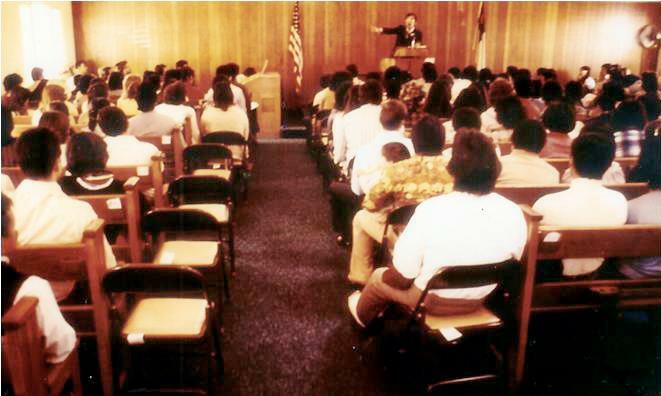 In 1981, FFBC added classrooms above the newly enlarged fellowship hall, which was renamed Gainer Hall in honor of disabled inspirational member Paul Gainer. However, even with the added space, it was still necessary for FFBC to rent classroom space at East LA College and at the Methodist Church across the street. 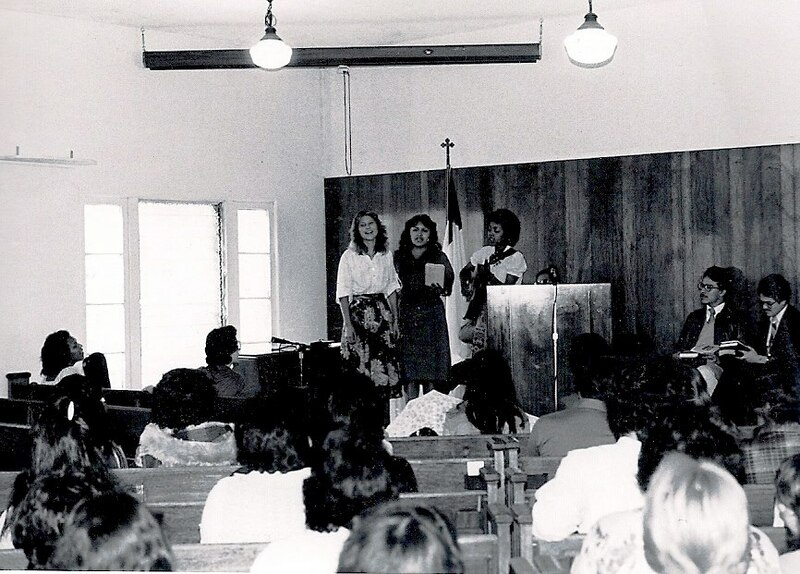 In the early 1980's, through the leadership of Pastor Montoya, FFBC began a program to plant churches throughout Southern California ranging from Calexico to La Puente to Fontana to Wilmington, just to name a few cities. John Mosqueda, our youth pastor and former writer for the Los Angeles Times, even accepted a call to pastor the Las Vegas Bible Church. Overall, 16 churches have been planted and most have become independent and self-supporting. Furthermore, the Torres Fund, in honor of Eddie Torres, was established to fund scholarships for men training for full-time ministry. We are thankful to the Lord for all of the faithful workers in the past and in the present who have helped to unite, encourage, and build the body of Christ. Many programs have started over the years, such as the School of Evangelism (WIN Program), School of Ministry (now known as Seminario Biblico Fundamental), Radio Ministry, Tape Ministry and the Bookstore Ministry. Presently, FFBC has grown to nearly 800 members with over 40 ministries and has been on the Internet since April 30, 1996. Pastor Montoya's sermons are broadcast in various radio stations across the Southwest USA and are now freely available on the church's web site (click link at top of page). Together, as the body of Christ, much more will be accomplished for the glory of God. On June 24, 2001, another chapter in the history of FFBC opened when an "East Campus" officially opened in La Habra. The Lord graciously provided the opportunity for His people to minister in this area and many members stepped forward to teach and serve in La Habra. 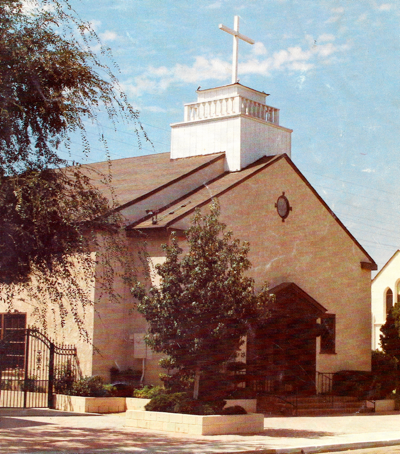 The Monterey Park church became known as the West Campus until a day when both campuses could be reunited when the Lord would provide a centralized, single large facility for both congregations. Oh, how we eagerly awaited that day! Well, that day finally arrived! On May 8, 2009, FFBC reached a historic milestone when the church relocated to spacious facilities in Whittier [shown on right] and held its first services on Mother's Day, May 10. Nearly 1,300 persons attended the inaugural services and fellowship as both Sunday morning services were jam-packed. After group worship in song and music, as well as a slideshow video [see below link] highlighting FFBC's history, Pastor Montoya preached from Joshua Chapter 1. On July 22, 2012, FFBC reached yet another milestone when Grace Baptist Church in Wilmington was granted its independence, and will now function as an autonomous self supporting and self-governing body of believers. FFBC marches onward to the call of our Lord Jesus Christ as we fulfill our church's mission to Exalt the Lord, Evangelize the lost, and Edify believers. Amen come, Lord Jesus (Rev. 22:20).